Do you have the perfect testing mindset for an agile project environment? What automation tools / frameworks / languages are you using? What agile test processes are you following? Do they have a testing mindset? Do they have the personality to apply that mindset collaboratively and supportively in an agile team environment? Lots of companies now have SDETs (‘Software Developer Engineer in Test’) or ‘Technical Automation’ testers and recently I have seen recruiters looking for 'developers with an interest in test'. For me this is diluting the role of the tester. Developers are really good at building application features usually following a happy path approach and testers are really good at testing (breaking) these features through alternate path testing. Why would you try and merge the two into one role, losing developer / tester collaboration and in turn reducing its effectiveness? Why not encourage both roles to collaborate and work closely together to build quality software that utilises the strengths of both? Are they applying for the wrong job? During the interview process I frequently get to the point where the candidate will let slip that they find testing boring and automation is the area they need to get into for their career development, but if they want to get into testing because of an interest in development, they are applying for the wrong job. If, however they are passionate about testing and see automation as one of many tools at their disposal I’m interested. Richard is an Agile Practitioner with over 25 years of leading and delivering systems in a variety of sectors. 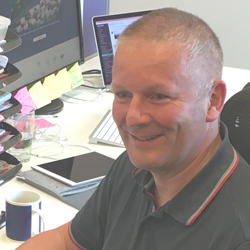 Passionate about testing, Richard leads 'Answer Digital Test', a rapidly expanding group of Test Engineers who ensure that agile testing processes are driving, defining and ensuring quality across all our projects.